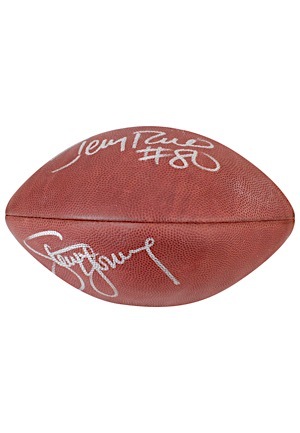 Wilson manufactured official NFL football dual-signed by Jerry Rice and Steve Young. Both players signed in silver marker on different panels and in our opinion the signatures rate a combined 8. 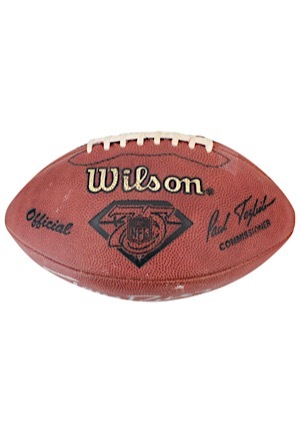 The ball does not hold air. Accompanied by a LOA from JSA.